Ever faster, ever more reliable... From the first steam trains to old-time locomotives right up to the high speed TGV, the railway world has always been at the cutting edge of progress and technological innovation. 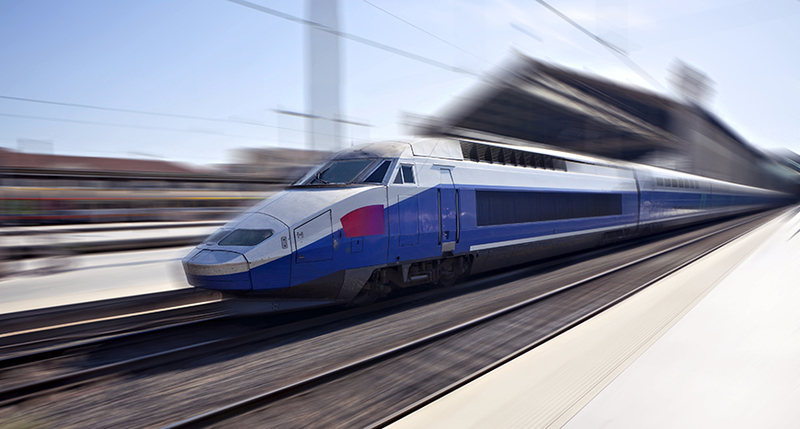 To meet the challenges of today and particularly tomorrow, key companies within the train and rail market have chosen Lantek’s sheet metal software solutions as their benchmark for advanced productivity. 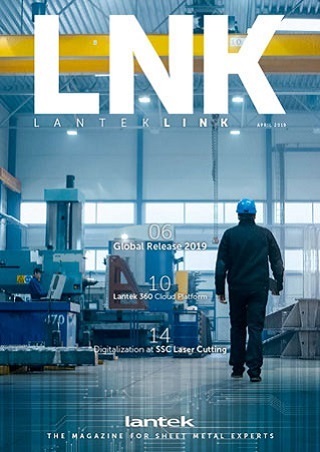 Specialising in flame cutting, plasma, laser, water jet cutting and metal punching, Lantek is also a pioneer in on-demand management software solutions (MES/ERP). As aresult of over 25 years of experience and working closely with constructors and end users, Lantek software combines machine technology perfectly with rail sector customers’ programming and management needs. The capabilities of the software are ideally suited to the manufacture of specific parts used in the railway industry whilst also optimising the whole manufacturing process. "Lantek provides the rail industry with greater control of safety issues and the means of implementing intelligent transport solutions thanks to full command of manufacturing procedures. It provides an overall vision of how we’ll be travelling on tomorrow’s trains. We aim to offer constructors reliable new solutions incorporating end users’ needs, security constraints and constantly changing technology," explains Lantek CEO, Alberto Martinez. Many parts designed using the Lantek software are focused on passenger comfort and meeting their requirements not only through ergonomics, materials and the cutting of shapes, but also through layout and assembly. By working all over the world through its regional offices and network of distributors, Lantek treats geographic proximity to its customers as a priority, enabling them to keep to short deadlines. Its reaction speeds are appreciated by companies that have put their faith in it, like French company Alstom: "Lantek is capable of working all over the world, regardless of the location of your production site or your customers’ set-up." A range of software tailored to the building of trains and rails. Lantek software is available in several modules to provide an appropriate solution to each production and management requirement. "Many world famous companies in the railway industry are already using Lantek software. These include Alstom in Brazil, Peru, Turkey, Spain and Italy and also companies such as CAF Mechanics Metal in Germany, Global Transporte Industria Servicio in Mexico and others throughout the world," adds Alberto Martinez, Lantek CEO. Lantek Expert runs all the machine technology and calculates the time and the cost per part to control profitability. It also offers a library of parametric parts and an open database allowing users to call up parts, manufacturing orders, etc. and to just fill in specified criteria such as material used, thickness, customer or date to get the desired information. "Our team of R&D engineers have worked hard on making the software easier to use and more accessible and user friendly despite the complexity of the tasks it is capable of processing. It is an intelligent and ultra-perfected tool designed to home in on the rail industry’s expectations," according to Alberto Martinez. Lantek provides a combination of unbeatable multi-purpose functionality and great flexibility. These assets enable it to adapt to the needs, problem issues and very specific expectations of each of its customers in their efforts to find the best technical and technological advances and to stand out in the highly competitive railway industry. Alberto Martinez emphasises this aspect: "Our software has been developed to provide a custom-built solution for each need. This is our number 1 asset. It can be used upstream during the initial design of trains and infrastructures as well as throughout the entire manufacturing chain thanks to its multiple capabilities."